Whatever your purpose of collecting wine is, the ideal wine storage conditions must not be neglected. Keeping wine just anywhere without considering the external factors that may affect its taste and aroma will not do any good to your investment. Efficient and reliable wine cellar cooling systems are a vital component in wine cellar construction. They are designed to maintain constant wine storage temperature and humidity levels in a wine cellar, helping wine achieve proper maturation before it is drunk. The ideal temperature in a wine room is between 55%-75% Fahrenheit. This will ensure prevention of wine spoilage. Humidity levels are ideally kept between 50%-70 to prevent drying up of wine cork and mold formation in your wine cellar. At WholeCellar, we offer a wide selection of wine cooling units that will maintain a stable wine cellar environment. Our wine cellar specialist can recommend the best wine refrigeration system for your needs. For us, you and your collection are important. 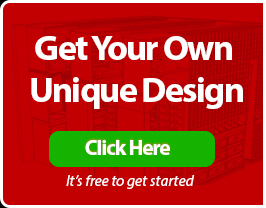 Wine Cellar Refrigeration Systems Types – Which One Do you Need? This is the best choice for those who don’t want to spend a lot. This wine cooling system is the cheapest and simplest of all wine cellar refrigeration systems (no need for an HVAC technician). Despite this, self-contained wine cooling units still have the ability to keep a wine cellar at optimal conditions. Choosing this system will require an adjacent room where the hot air will be exhausted. A garage, furnace room, or a portion of your basement are some of the rooms that can be used to accommodate the vented heat from the cooling unit. One disadvantage of this type of cooling unit is that you need to ship it to the manufacturer for repair or service. 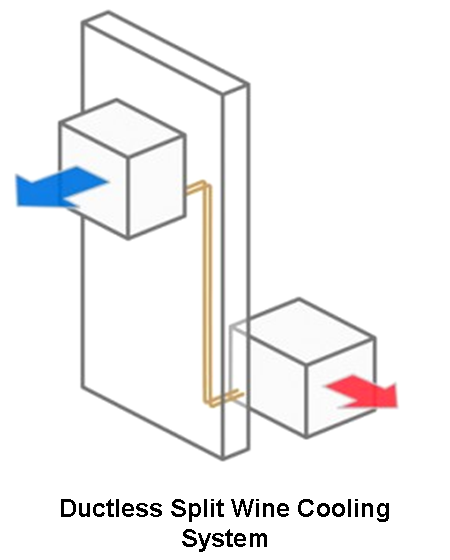 Unlike self-contained systems, ductless split systems don’t need an adjoining room for exhaust. The evaporator is placed inside or near the wine cellar, while the condenser can be placed in a space where heat and noise can be dissipated. Instead of ducting, small copper tubing and electrical wiring are used to create a line set. Service on site is available, eliminating the inconvenience of shipping to the manufacturer for maintenance. However, a licensed HVAC technician must do the installation. Just like the ductless system, using this type of wine cooling system will not require an adjoining room for exhaust. The only difference is that the equipment does not occupy space in your wine cellar, making it an ideal option for small wine cellars. 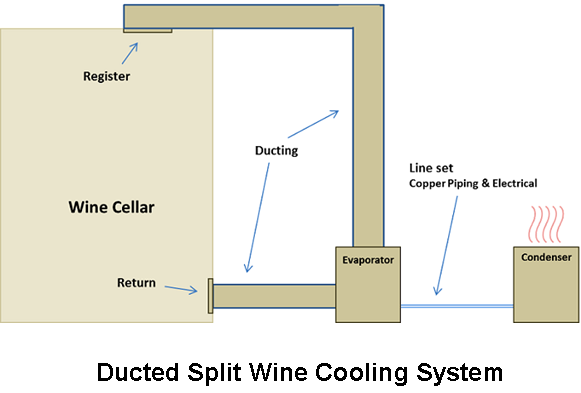 Ducted split wine cellar refrigeration systems have the ability to duct cool air to and from the wine cellar. You have to allot a bigger budget for this system because of its high cost, and you need to hire a professional technician to install it. 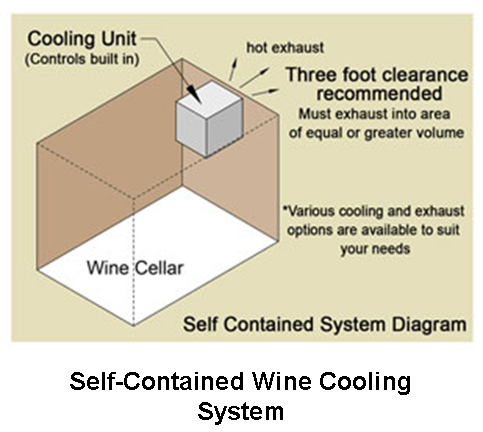 Need Help in Choosing the Right Type of Wine Cellar Cooling System? For assistance or inquiries about your wine cooling needs and requirements, visit our website at https://www.wholecellar.com/ and find a wine cellar specialist in your area.